Decoda musicians facilitate a collaborative songwriting with New York City police officers and teenagers from the Police Athletic League. Over 15 weeks, participants will create original songs and perform them alongside Decoda musicians in two culminating concerts. Presented by South Korea’s Christian Broadcasting System, Decoda is excited to be visiting South Korea for the second time. We will be performing concerts on Dec. 17 & 18 at the COEX Auditorium in Seoul. Program to include selections from Brahms D major Serenade and Schubert Octet. Returning to Camden, South Carolina for its 10th season, Decoda will present a week-long community residency sponsored by the Fine Arts Center of Kershaw County. A trio of Decodans will visit all of the county’s high schools with an interactive performance exploring music from other cultures including the Nordic regions and Middle East. The week will culminate in a main stage performance at Wood Auditiorium at the Fine Arts Center of Kershaw County on Thursday, December 13th at 7pm. 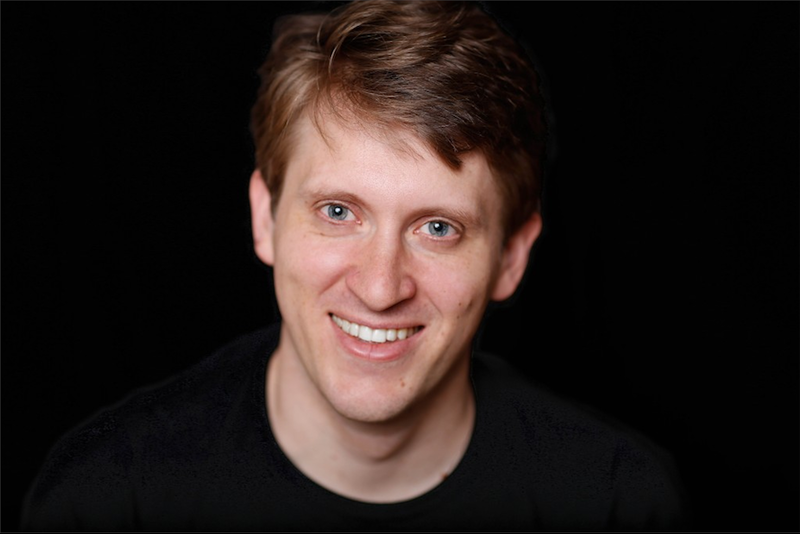 Decoda returns to Gettyburg College to play with Sunderman Conservatory's Symphony Orchestra. Seven Decoda artists will spend three days rehearsing and working with students. On Novemeber 30th, we will join forces in concert. Decoda is back in the bay area with three concerts with Noe Valley Chamber Music in San Francisco and a debut show at Stanford Live. Decoda embarks on its first residency at the UCLA Herb Alpert School of Music, working with student chamber ensembles on audience engagement, presenting alongside LA Street Symphony at Midnight Mission with its founder and 2018 MacArthur Fellow, Vijay Gupta, and performing at The Los Angeles County Museum of Art's Sundays Live series, which is broadcast live on KUSC Radio, featuring works by CPE Bach, Brahms, Schumann, George Crumb, and Reza Vali. VIP packages are available for preferred seating, access to private events and to sponsor a concert ticket for a youth participant of Decoda's songwriting program with the Police Athletic League and NYPD. Decoda returns to the Royal Conservatoire for an intensive week of working with student chamber ensembles. The week culminates with an exciting programme of chamber music and a masterclass. Presented by Notes with a Purpose as part of their Music Juicebox series, a Decoda duo for flute and cello embark on a week long interactive performance tour of elementary schools in Las Vegas exploring the theme, 'The science of sound’ through Reza Vali’s evocative Folk Song Set No.9. Decoda sends a trio of winds and strings to Greenwood Gardens, a gorgeous historic estate with breathtaking views and enchanted grounds. Enjoy wine and hors d'oeuvres, as the intrepid musicians immerse you in the space and the specially themed program. Sleep No More style- Decoda artists will perform a rotation of solo sets in different corners of the beautiful gardens, before meeting at the main house for an ensemble set featuring works by Haydn, Vali, Devienne, and Paquito D'Rivera. 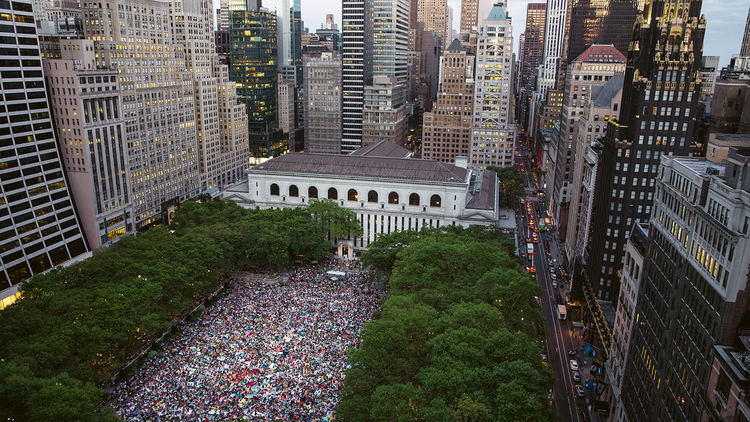 Decoda performs outdoors at NYC's Bryant Park! Arrangements of Bach, Barber, Bartok, Beatles, and other composers not starting with the letter B to be performed. Participants of the Decoda|Skidmore Chamber Music Institute present interactive performances for a family-friendly concert - All Ages Welcome! Participants of the Decoda|Skidmore Chamber Music Institute present their final performances in the culminating concert of the two-week institute. Works by Saint-Saens, Beethoven, Mozart, Elliott Carter, Walter Piston, Schubert, and Fauré. Works by Zelenka, Martinu, Erwin Schulhoff, Kodaly, Shostakovich, Andrew Norman, and David Bruce. Decoda presents a four day artistic residency at the Green Box Arts Festival in Green Mountain Falls, Colorado, July 5th-8th. 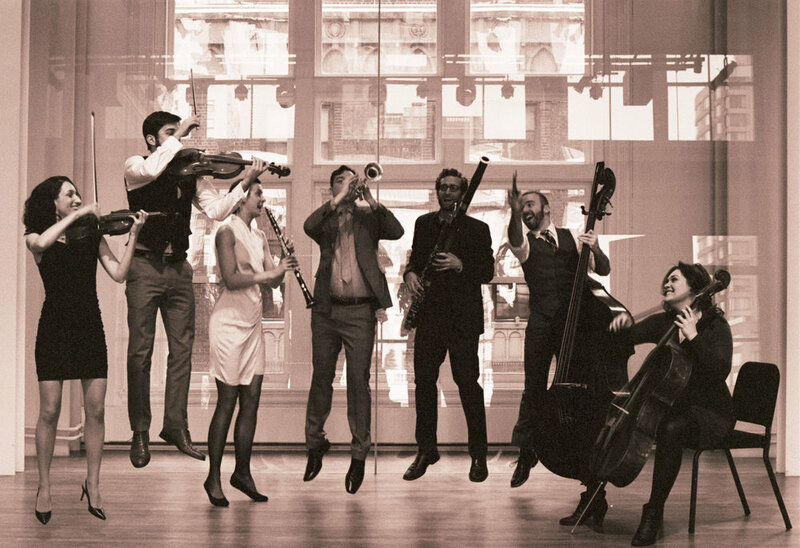 Joining world-wide centennial celebrations of legendary American composer and conductor Leonard Bernstein, Decoda musicians are performing a chamber program focused on works of Bernstein and his friends, as well as three performances of Bernstein's Piano Trio and Clarinet Sonata with choreography by KEIGWIN + COMPANY, a New York-based contemporary dance company. As part of the residency, Decoda is taking part in the ArtDesk Conversations series; A free quarterly publication devoted to the contemporary arts, performance, and thought. ArtDesk Conversation with Decoda: Creating meaningful musical experiences for all. Decoda teams up with WQXR to present interactive performances at six New York City public schools over three days. In this second of two installments, Decoda presents Trapeze, a concert in which students take an in depth look into Prokofiev's Quintet by exploring thematic elements, different instrumental qualities and how music can be experienced in all of our senses. Please note: these events are not open to the public. *Please note: these events are not open to the public. Presented by Notes with a Purpose as part of their Music JuiceBox series, three musicians from Decoda embark on a week-long interactive performance tour for ten elementary school students in the wider Las Vegas community. Decoda will also be featured in a pop-up performance at the Gaudin Porsche of Las Vegas showroom. Decoda presents an immersive and creative concert experience for Philadelphia students, presenting music by Nielsen, Kurtag, and Balliett. please email Erik Petersons at epetersons@pcmsconcerts.org or call 215.569.8080. Decoda presents a program of music for winds as part of their debut on the Philadelphia Chamber Music Society's series. Starting on April 1 to April 5, Decoda will return to LCI to work with 40 incarcerated residents who are instrumentalists, singers, and spoken word artists. Following the four-day intensive songwriting workshop, LCI participants and Decoda will present a culminating performance of their original program “Lincoln Portrait” for fellow residents, staff, officers, members of the media, and local and state officials on Thursday, April 5 at 1:30 PM. This year’s project is funded by individual donations to Decoda’s social justice initiative, Music for Transformation. Four Decoda artists will be in residence for a week at Denmark Olar High School in Denmark, South Carolina. Decoda will lead a 5-day songwriting workshop with the high schoolers, based on the theme “Where I’m From” and will host an open jam for local musicians in the community. This artist residency is made possible through an Arts Education Partnership Grant of the South Carolina Arts Commission and is also part of its Art of Community: Rural SC Initiative. March 29 7pm International Night at DOHS - Song Showcase! Decoda artists present innovative interactive performance techniques at University of Wisconsin in at Madison. to include works by Schumann, Berg, and Andrew Norman. Decoda teams up with WQXR to present interactive performances at six New York City public schools over three days. In the first of two installments, Decoda presents a concert called Character in Music, in which students learn to use the same tools composers use to portray characters, settings, and mood. Please note: these events are not open to the public. For more information about projects like this please email info@decodamusic.org. Please note, these events are not open to the public. Decoda visits Schenectady County Community College for three days of recitals, masterclasses, coachings, lessons, and class lectures. Tertulia returns to San Francisco for a delicious food and music pairing featuring Decoda. Read a 2016 review to get a taste of a Decoda/Tertulia pairing. 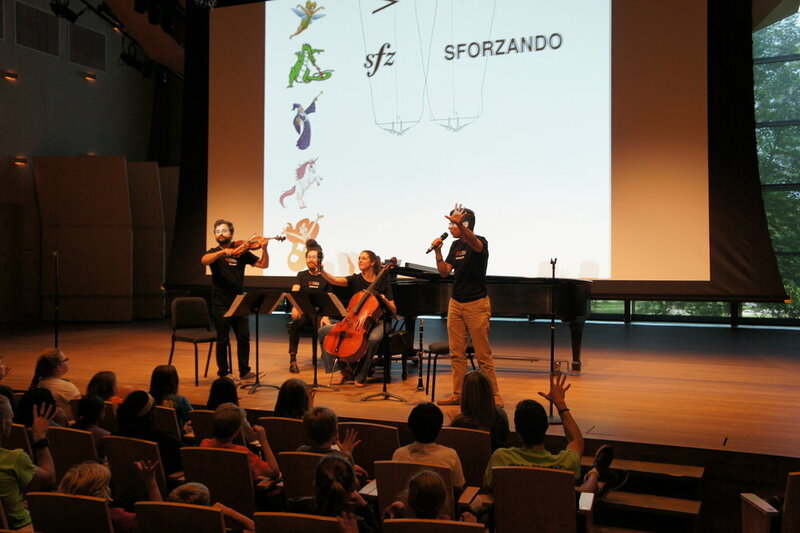 Decoda presents an Interactive Performance at Stanford for the Bing Nursery School. Decoda is thrilled to be visiting Buffalo, NY and partnering for the first time with Buffalo String Works! This impressive community music school is aimed at providing quality music instruction for children from refugee families from around the globe. Decoda will be working with students from this program, as well as giving Interactive Performances in local Buffalo schools. We are also excited to be giving a masterclass at SUNY Buffalo, as well as performing in their beautiful Ciminelli Recital Hall! Decoda returns to SC for its 11th season! We've been coming to this wonderful community since our graduation from Ensemble Connect. This year's residency brings a piano quartet of artists for a main stage performance at the Fine Arts Center of Kershaw County on January 11th. The residency also includes a tour of the public schools, Lee Correctional Institution, and KershawHealth to decode and share the secrets of chamber music. Members of Decoda join Lawrence University faculty and students for their annual residency. Decoda performs at community venues in Appleton, and works with Lawrence students during a retreat at Björklunden in Baileys Harbor, WI. Decoda will give a public performance at the Lawrence Memorial Chapel as a culmination of the residency. Friday - Sunday, January 5-7, residency at Björklunden, Baileys Harbor, WI. Public performance, Sunday, January 7, 1:30 PM, Björklunden. This collaborative songwriting project with police officers and teenagers from the Police Athletic League consists of weekly workshops with Decoda running from early Novemeber to late December. It culminates in a performance of original songs composed by the participants, performed along with Decoda artists. Seating is limited and reservations are required by Dec 13 to attend this free event. Police Athletic League Songwriting Project is made possible in part with public funds from Creative Learning, supported by New York State Council on the Arts with the support of Governor Andrew Cuomo and administered by the Lower Manhattan Cultural Council. Lower Manhattan Cultural Council empowers artists by providing them with networks, resources, and support, to create vibrant, sustainable communities in Lower Manhattan and beyond.